On this thirty-eighth Lord's Day of 2018, September 23, we provide the following news and information concerning PRC congregations, the Seminary, mission fields, and sister churches. On August 26 the congregation of Grandville PRC voted to extend a call to Rev. N. Decker (pastor of Trinity PRC). Today he announced his ACCEPTANCE of this call. The Council of Immanuel PRC (Lacombe, AB) has formed a trio from which to call a new minister Rev. E. Guichelaar (Randolph, WI), Rev. N. Langerak (Crete, IL), and Rev. M. VanderWal (Wingham, ON). The congregation will vote TODAY following the afternoon service. *UPDATE: Rev. N. Langerak has received this call. Grandville’s Council has formed a new trio from which to call a minister on loan to Covenant Evangelical Church of Singapore: Rev. G. Eriks, Rev. S. Key, and Rev. W. Langerak. The congregation will vote, D.V., on Suynday evening, October 7. From Georgetown PRC comes this special note (for tonight): "'Foster of Grace' the documentary on the India mission created by Brad Kamminga will be shown at Georgetown PRC on Sunday, Sep. 23 at 8pm. [TONIGHT] This documentary will give you a better understanding of the background of the mission work and the Grace Foster Home as well as life in India and the struggles and challenges of abandoned children and women in India. This is a public showing for all, so please invite your friends and family from other churches." Having recently sold and vacated her former building, Southeast PRC (Grand Rapids, MI) has begun worshiping for the time being at Adams Christian School in Wyoming, MI. Seminary is now in its fifth week of classses in this first semester. Continue to pray for the professors, students, and staff as they busy themselves in the work of training men for the gospel ministry. The internships of Seminarians Matt Kortus and Jacob Maatman began July 1. Sem. Kortus is interning at Trinity PRC under Rev. N. Decker and his Council. Sem. Maatman is interning at Hudsonville PRC under Rev. G. Eriks and his Council. The internship program runs from July 1 to December 31. The Dordt 400 Conference includes a Writing Contest with great prizes. If you are looking for a way to use your writing skills, visit our website at dordt400.org and start working on your essay. From her bulletin today: Rev. & Mary Stewart leave tomorrow for N. America., returning Tuesday, 9 October. Rev. Stewart will lecture for Eastside Christian School (26 September) and the RFPA (27 September) and in Pittsburgh (3 October), and will preach in Wingham PRC (30 September) and Southeast PRC and Zion PRC (7 October)." And in that connection, here is bulletin note about her pulpit supply: "Rev. Koole arrives this Friday. He will be preaching for the CPRC on the next 2 Lord’s Days, and taking catechism classes on 1 & 8 October." Covenant PRC's latest newsletter was received and posted recently (August 2018). And don't forget her other publication - Covenant Reformed News! That latest issue received last week (September 2018) may be found here. Rev. A. Spriensma and his wife are currently ministering to the saints in the CERC. Grandville’s Council has formed a new trio from which to call a minister on loan to Covenant Evangelical Church of Singapore: Rev. G. Eriks, Rev. S. Key, and Rev. W. Langerak. Her latest newsletter (AUGUST 2018) - Reformed News Asia - was recently posted and may be found on this page. 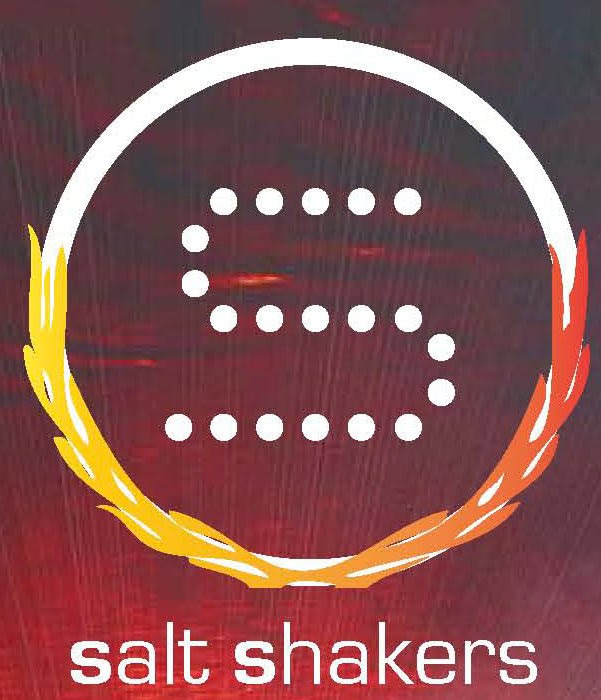 The latest young peoples' magazine, Salt Shakers, was received and posted recently (JULY 2018 - cf. image above). Check that out on this page. *The RFPA Annual Meeting will be held on Thursday, September 27th, 2018 at 7:30 p.m. Rev. Angus Stewart will speak on “The RFPA, the CPRC, and the Spread of the Truth” at Grace PR Church in Grand Rapids, MI. This speech will address the role of RFPA literature from the perspective of a PR sister church running a bookstore and doing missionary work in another country, showing how these Reformed materials edify the CPRC’s members and assist in reaching its contacts. Men, women, and young people are all cordially invited to attend the meeting! If you are in need of some pamphlets published by the PRC for use in evangelism and/or witnessing, visit the PRCA Evangelism page for a complete list of materials available in digital format or by order from the publishing church. If you or a friend are interested in spiritually edifying music as well as in Bibles and other Reformed literature, visit the Reformed Book Outlet in downtown Hudsonville, MI or visit their website. 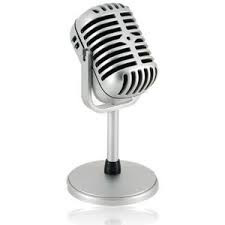 Don't forget to listen to the Reformed Witness Hour each Sunday (on radio or on the Internet)! Today Rev. C. Haak (Georgetown PRC, Hudsonville, MI) continues his series on the OT prophecy of Jonah. The title of today's message is "God's Rebuke of a Pouting Prophet" based on Jonah 4:6-11. The RWH has a new, updated website! Please visit reformedwitnesshour.org to watch our introduction video, view pictures and audio from our history, and read and listen to almost 20 years of past radio broadcasts! If you haven’t visited the RWH website recently, now is an excellent time to familiarize yourself with this important radio-internet ministry of the Reformed faith. The latest young peoples' magazine of Covenant ERC in Singapore, Salt Shakers, was received and posted recently (JULY 2018 - cf. image above). Check that out on this page. Remember in prayer our home missionary, Rev. A. Spriensma, who continues to labor in the West Michigan area and beyond. For the next three weeks he and his wife are in Singapore serving our sister church, Covenant ERC. S. Wales Lecture: Rev. 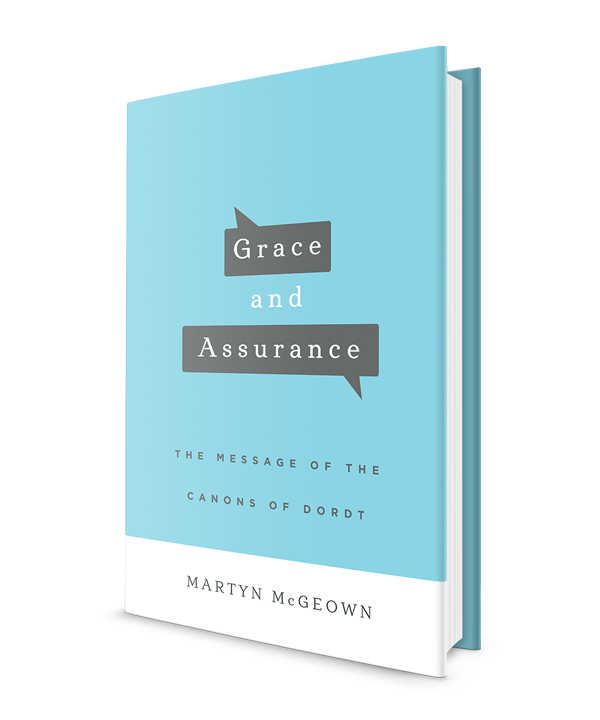 McGeown will speak on “The Development of God’s Covenant (3)” in Margam Community Centre this Thursday at 7:15 PM. Don't forget to follow the Kleyn's blog on life and activities in the Philippines. And that also includes the Holstege's! And the Smits once again too! Rev. Holstege will preach both times today. After the first service, Rev. Holstege will finish Essentials Lesson 2 on the doctrine of Holy Scripture. There will be merienda after class. We express Christian sympathy to Rev. and Mrs. Smit and their family in the death of Rev. Smit’s father last week. The Smit family traveled to the state of Washington, in the far northwest of the U.S., last Friday to attend the funeral. May our God comfort them in their loss and keep them safe in their travels. “Mahalaga sa paningin ng PANGINOON ang kamatayan ng kanyang mga banal” (Awit 116:15). Our Missionary, Rev. D. Kleyn will lead us in both Services. He will continue the Belgic Confession Articles 33 - ff. Our Missionaries and PRCP are planning to conduct a Conference in commemoration with the Synod of Dordt, dated November 1618 to May 1619. The wisdom of God was personally manifested in our Lord Jesus. According to His human nature, Christ grew in wisdom as He developed as a boy: “the child grew, and waxed strong in spirit, filled with wisdom: and the grace of God was upon him” (Luke 2:40). As a teenager, “Jesus increased in wisdom and stature, and in favour with God and man” (52). He is the fulfilment of the prophecy of Isaiah 11:2: “the spirit of the Lord shall rest upon him, the spirit of wisdom and understanding, the spirit of counsel and might, the spirit of knowledge and of the fear of the Lord.” He was wiser than Solomon (Matt. 12:42; Luke 11:31), for in Him “are hid all the treasures of wisdom and knowledge” (Col. 2:3). Yea, He is the very “wisdom of God” (I Cor. 1:24)! The wisdom of God in Christ is declared in the gospel. The last verse in the most systematic presentation of the good news of salvation closes with this fitting doxology: “To God only wise, be glory through Jesus Christ for ever. Amen” (Rom. 16:27). This is entirely appropriate, since Romans sets forth man’s terrible sin and God’s justifying righteousness (ch. 1-5); the marvel of sanctification and assurance (ch. 6-8); double predestination, and the salvation of believing Jews and Gentiles (ch. 9-11); and rich ethical teaching on godly living, including in church and state (ch. 12-16). I Corinthians 1:17-31 explains that the gospel proclaims salvation through the crucified Messiah, which is foolishness and weakness to the world, but the wisdom and power of God. Jehovah has chosen the foolishness of preaching to save His people and to confound those who think themselves to be wise. The Triune God hides these things from “the wise and prudent,” but reveals them to “babes” (Matt. 11:25; Luke 10:21). Saul of Tarsus is a prime biblical example of God’s wisdom in conversion. Remember what he used to be: he “was before a blasphemer, and a persecutor, and injurious” (I Tim. 1:13), yet the Most High transformed him into the apostle Paul (1, 11-12)! No wonder he exclaimed, “Now unto the King eternal, immortal, invisible, the only wise God, be honour and glory for ever and ever. Amen” (17)! In Jehovah’s wisdom, He made Paul a model to display His longsuffering: “Howbeit for this cause I obtained mercy, that in me first Jesus Christ might shew forth all longsuffering, for a pattern to them which should hereafter believe on him to life everlasting” (16). Consider the wonder of God’s wisdom in preserving all whom He saves—billions of us, in all ages and all around the world; each with his or her own particular sins and weaknesses; and all under attack from the world, the flesh and the devil! Thus the penultimate book of the Bible concludes with this paean of praise: “Now unto him that is able to keep you from falling, and to present you faultless before the presence of his glory with exceeding joy, To the only wise God our Saviour, be glory and majesty, dominion and power, both now and ever. Amen” (Jude 24-25). What about God’s wisdom in sacred Scripture? No other book can compare to it! We have the inspired, inerrant and infallible Bible, which has been preserved faithfully to all generations. It is complete, all-sufficient and supremely authoritative. These “holy scriptures,” Paul states, “are able to make thee wise unto salvation through faith which is in Christ Jesus” (II Tim. 3:15). Are there any details of your postal address that need correction? Would you like more than one copy of the News (up to twelve can sent on an ordinary second-class stamp)? Do you have any friends who would like the News sent to their house address in the British Isles or by e-mail? Have you any questions that you would like answered in the News? Please let us know! The CPRC broadcasts both its Lord’s day services at 11 AM and 6 PM (UK time) free on-line (www.cprf.co.uk/live.html). Why not watch and worship with us? This is especially helpful for those who have no faithful churches in their area or those who are on holiday or those who are at home on a Sunday because they are sick or caring for those who are ill. The last two speeches traced the revelation of God’s one everlasting covenant of grace from Adam through Noah. This lecture will follow that history through the line of Shem to Abraham. What continuity is there in the Abrahamic covenant with the covenants with Adam and with Noah? What development is there? With whom is the Abrahamic covenant established, what is its sign and what does the covenant with Abraham reveal about our Lord Jesus Christ? Founded on holy Scripture, the Belgic Confession defines sound, health-giving doctrine for Reformed churches and believers. This truth is rich, lovely and powerful. The Confession also authoritatively exposes contemporary heresies. As they read this commentary, all believers who love the biblical and Reformed faith will be guided in the beautiful truth of the “old paths.” Volume 1 covers Articles 1-21 of the Belgic Confession. On this thirty-seventh Lord's Day of 2018, September 16, we provide the following news and information concerning PRC congregations, the Seminary, mission fields, and sister churches. Today Peace PRC begins worshiping in her new building at 14864 101st Avenue, Dyer, IN 46311 (cf. photo above). May God bless their witness in this new community. On Sept.9 Rev. R. Kleyn (Covenant of Grace PRC, Spokane, WA) announced his DECLINE of the call from Grandville PRC to serve as minister on loan in our sister church in Singapore. On August 26 the congregation of Grandville PRC voted to extend a call to Rev. N. Decker (pastor of Trinity PRC). He plans to answer by Sept.23. *UPDATE: From Immanuel PRC in Lacombe, AB comes this news: "Consistory presents to the congregation the following trio from which we will be calling a new minister for our congregation. Rev. E. Guichelaar (Randolph, WI), Rev. N. Langerak (Crete, IL), and Rev. M. VanderWal (Wingham, ON). Voting will take place on Sunday, Sept. 23rd after the afternoon service." "We rejoice with Rev. & Mrs. Langerak who were united in marriage Saturday, September 15. May God richly bless them as they begin their married life"
And related to that is this: Rev. Tom Miersma will supply our pulpit today and next Sunday. Rev. Miersma is Emeriti Minister from Immanuel PRC, Lacombe, Alberta, Canada. We welcome him and his wife Janice into our fellowship. From Georgetown PRC comes this special note of an upcoming event: "'Foster of Grace' the documentary on the India mission created by Brad Kamminga will be shown at Georgetown PRC on Sunday, Sep. 23 at 8pm. This documentary will give you a better understanding of the background of the mission work and the Grace Foster Home as well as life in India and the struggles and challenges of abandoned children and women in India. This is a public showing for all, so please invite your friends and family from other churches." Seminary is now in its fourth week of classses in this first semester. Continue to pray for the professors, students, and staff as they busy themselves in the work of training men for the gospel ministry. "By now most of us are already aware that Rev Rodney Kleyn has declined the call to be our Minister-On-Loan (MOL). Let us not be discouraged but continue to pray and wait patiently as we seek the will of the Lord to send the man of His choice to serve in our midst. Psalm 27: 14 "Wait on the Lord, be of good courage, and he shall strengthen thine heart: wait, I say on the Lord." Singapore in 2012 to assist us with the pulpit supply. He has pastored in Grandville, Kalamazoo and Byron Center PRCs prior to his current calling as the home missionary. Rev Spriensma did foreign mission work in the Philippines for 5 years leading to the organisation of the Berean Protestant Reformed Church of the Philippines. Rev and Mrs Spriensma are the parents of 5 married children and grandparents of 21 grandchildren! Do welcome them warmly and spend time fellowshipping with them." 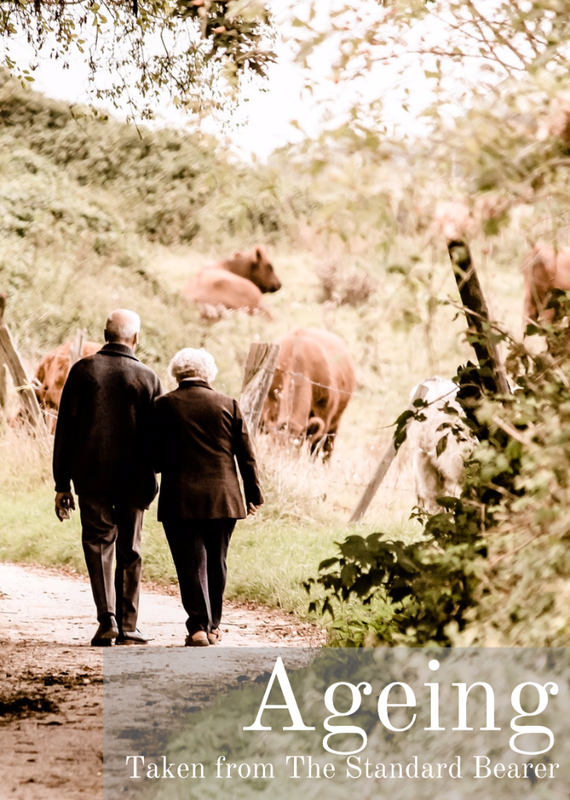 Covenant PRC's latest newsletter was received and posted recently (August 2018). And don't forget her other publication - Covenant Reformed News! That latest issue received last week (AUGUST 2018) may be found here. The 2018 British Reformed Fellowship family conference at Hebron Hall in South Wales took place the week of July 21-July 28. The sermons and speeches of the conference are now posted on Covenant PRC's YouTube channel. *The PRC now has an official sister-church relationship with the PRC in the Philippines, confirmed at this year's synod! We rejoice in this evidence of the Lord's blessing on the work in the Philippines and of the unity of Christ's church, which He gathers from all nations, tribes, and tongues. May the Lord grant us a mutually edifying and God-honoring relationship. The new book available from the RFPA - in time for the 400th anniversary of the "great" Synod of Dordt! The RFPA Annual Meeting will be held on Thursday, September 27th, 2018 at 7:30 p.m. Rev. Angus Stewart will speak on “The RFPA, the CPRC, and the Spread of the Truth” at Grace PR Church in Grand Rapids, MI. This speech will address the role of RFPA literature from the perspective of a PR sister church running a bookstore and doing missionary work in another country, showing how these Reformed materials edify the CPRC’s members and assist in reaching its contacts. Men, women, and young people are all cordially invited to attend the meeting! Don't forget to listen to the Reformed Witness Hour each Sunday! Today Rev. C. Haak (Georgetown PRC, Hudsonville, MI) continues his series on the OT prophecy of Jonah. The title of today's message is "A Sinful Response to Sovereign Mercy" based on Jonah 4:1-5. Lynden PRC Young Adults Retreat updates: We have secured a location for our retreat during July 1-5, 2019! It will take place at Mt. Baker Bibleway Camp. Check it out at http://www.mtbakercamp.org/home.do. We hope to include activities such as a day trip to beautiful Artist Point, white water rafting, and more. Registration is set to open in February 2019, so don’t miss out! We encourage any young adults post-high school age to attend. Further details have been posted to our Facebook page: Lynden PRC Young Adults Retreat 2019. Request an invite to see these details, or message the group if you have any questions! The August 2018 newsletter of the Limerick Reformed Fellowship mission station is now posted on this page. Rev. Kleyn will preach for the Bearers of Light Community Church today in Guiguinto, Bulacan. After the first service, Rev. Holstege will teach Lesson 2 in the Essentials of Reformed Doctrine: The doctrine of Holy Scripture. We will have a short merienda after class. *This Monday and Tuesday, Revs. Kleyn and Holstege will travel to Negros Occidental for the monthly pastors’ classes in Sipalay. Our Pastor, Rev. L. Trinidad will lead us in both services and after the second service he will teach the children the Catechism. Our Missionary, Rev. D. Kleyn will lead us in both Services. 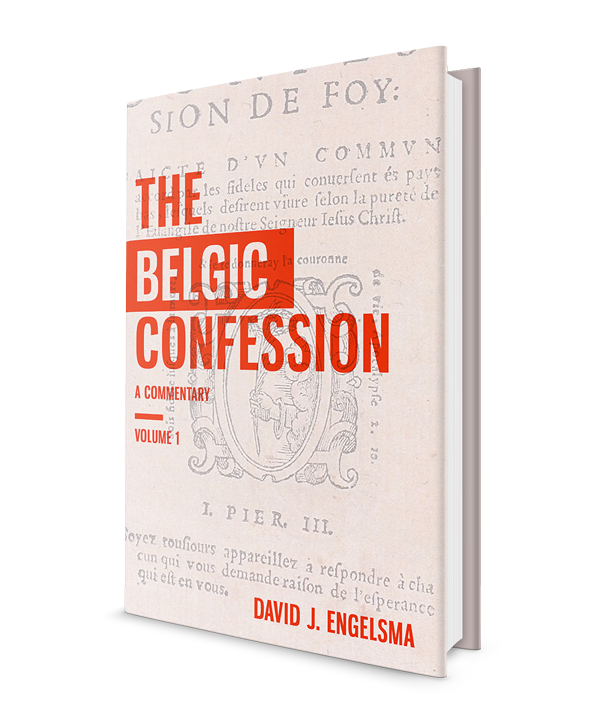 He will continue the Belgic Confession lesson. On this thirty-sixth Lord's Day of 2018, September 9, we provide the following news and information concerning PRC congregations, the Seminary, mission fields, and sister churches. Rev. 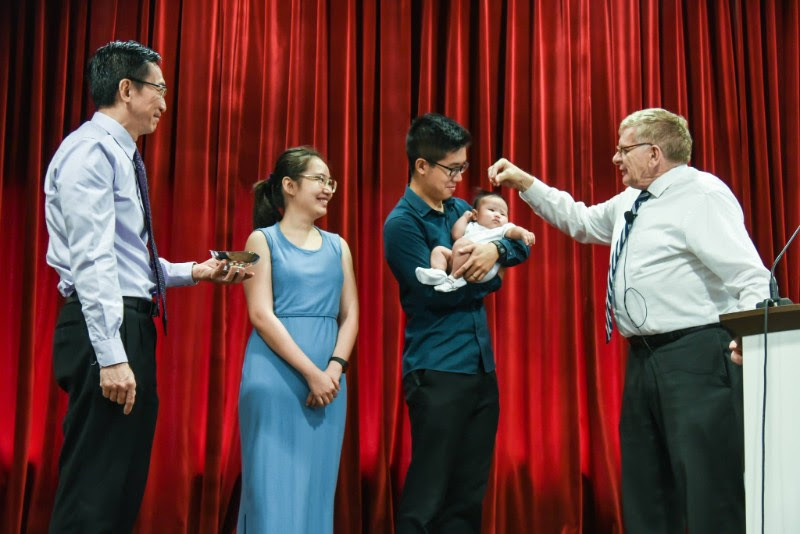 R. Kleyn (Covenant of Grace PRC, Spokane, WA) has been considering the call from Grandville PRC to serve as minister on loan in our sister church in Singapore. Today, Rev. Kleyn informed Covenant ERC and his own congregation that he DECLINED this call. Today is the day Southeast PRC (Grand Rapids, MI) begins worshiping at Adams Christian School in Wyoming, MI, having recently sold and vacated her former building. From our Pittsburgh (PA) PRC comes this special announcement of an upcoming event: "Save the evening of October 5 at 7:30 pm. Rev. A. Stewart from our sister church in Ireland will be here to give a speech about Martin Luther and his wife Katie." Classis West met in regular session on August 29-30, 2018. The meeting was hosted by Peace PRC (Lansing, IL), but all sessions were held in the facilities of the neighboring Crete PRC since Peace is in the process of transitioning to a new building. Rev. John Marcus chaired the meeting. The highlight of this meeting was the examination of Pastor-elect Jonathan Langerak who had received and accepted the call extended to him by Heritage PRC (Sioux Falls, SD). Mr. Langerak led a worship service on the night before Classis, expounding God's Word from Proverbs 3:5-6. He was then examined the following day in the six loci of Dogmatics, Knowledge of Scripture, Knowledge of the Confessions, Controversy, and Practica. With the concurrence of the synodical deputies from Classis East, Classis unanimously approved his examination and advised Heritage PRC to proceed to his ordination into the ministry. Mr. Langerak was ordained in a special worship service held on August 31. We give thanks to God for supplying another under-shepherd, and pray for God's blessings upon the ministry of Rev. Jonathan Langerak. In closed session, Classis dealt with the request of a consistory to increase censure on an impenitent member. After hearing evidence of the member's impenitence and the consistory's careful labor, Classis advised them to proceed to making the second announcement of the second step of discipline. Classis was also informed by a consistory that it had, with the concurrence of a neighboring consistory, suspended its pastor from exercising his office, and that it sought Classis' approval to proceed with his deposition. With great sadness, Classis voted unanimously to advise the consistory to proceed, and the synodical deputies concurred. On its agenda Classis also had an appeal from a member of a congregation against the decisions of his consistory. Classis declared two parts of the appeal not legally before it as it was not finished at the consistory level. Classis did enter into one part of the appeal and gave careful instruction to both the appellant and the consistory concerning the procedural issues which were raised. By decision Classis also reminded the appellant of the importance of brevity in submitting materials and the importance of being patient with his consistory as they work through the issues. 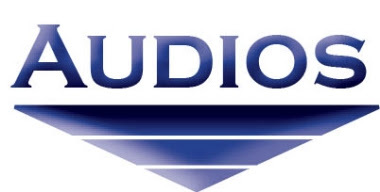 Classis also approved an overture from Hull PRC to Synod 2019 to add a statement to the bylaws of the denomination regarding our stance on marriage and homosexuality and to write policies regarding this issue that might be adopted by local consistories to aid them in the legal protection of their property against lawsuits. Classis judged that the overture made compelling arguments for the legal protection afforded by such an action and that it would be helpful to local consistories. The following classical appointment schedule for Immanuel PRC (Lacombe, AB) was drawn up: Rev. N. Langerak (September 16 and 23), Rev. R. Barnhill (October 7 and 14), Rev. S. Regnerus (October 21 and 28), Rev. E. Guichelaar (December 9 and 16), Rev. B. Huizinga (January 13 and 20), Rev. M. De Boer (January 27 and February 3), Rev. J. Laning (February 17 and 24), Rev. J. Engelsma (March 17 and 24), Rev. S. Key (March 31 and April 7), Rev. D. Lee (April 21 and 28), and Rev. A. Brummel (May 12 and 19). The expenses of Classis totaled $9,350.47. The next meeting of Classis West is scheduled for March 6, 2019, in Heritage PRC, the Lord willing. Classis East will meet in regular session this week Wednesday, September 12th, beginning at 8 AM in Grace Protestant Reformed Church. Seminary Convocation was held this past Wednesday, September 5, at Providence PRC. For more on this event (including pictures and a short video clip of the special music), visit this webpage. Seminary began its classes on Wednesday, Aug.29. Besides our seniors (Matt K. and Jacob M. - internships - cf.. note below), we have two other seminary students this year: third-year student Josiah Tan and first-year student Marcus Wee (who arrived this week with his wife and son), both from our sister church in Singapore, Covenant ERC. In addition, four young men are taking different levels of pre-seminary Greek from Profs. R. Dykstra and B. Gritters at the seminary. Synod 2018 gave approval to the request of Covenant ERC in Singapore that a minister-on-loan be called to labor in their midst during their present vacancy, and appointed Grandville PRC the calling church. On August 5 the congregation voted to call Rev. R. Kleyn from a trio that also included Rev. G. Eriks and Rev. S. Key. He plans to answer this call by Sept.9 (TODAY). *Note: Rev. Kleyn has DECLINED this call. "This week we bid farewell to Rev Daniel Kleyn and Sharon after he peaches in this Lord’s Day. Rev Daniel Kleyn and Sharon will be heading back to the Philippines on Tuesday 11 September.... We thank Rev Daniel Kleyn for taking time off from his busy schedule in the Philippines to minister to us for the past week. We thank God for maintaining the supply for our pulpit during the times while we wait for His appointed MOL. We look forward to have Rev. Audred Spriensma and his wife, Alva, to arrive next Saturday 15 September.... Rev. Spriensma and Alva will be with us for three Sundays. Besides preaching, Rev Spriensma will be teaching the secondary level Catechism class and the Pre-Confession the class." Also, from her bulletin today we find another note about her mission work in India: "We thank God for a fruitful trip to Kolkata by Eld Leong and Eld Wee as they supervised the baptism of ten saints and the public confession of faith of six saints in last Lord’s Day. This marked a significant development for CERC (Fellowship) Kolkata. We rejoice with the saints of Kolkata in this milestone as we see the Lord establishing the work of our hands (Psa 90:17) and give us fruits through the labours of our missionary pastor, Rev Singh. Pray that the saints in Kolkata show their love for God by forsaking the world and walking in a godly and holy life." Covenant PRC's latest newsletter was received and posted recently (August 2018). And don't forget her other publication - Covenant Reformed News! That latest issue received last week (AUGUST 2018) may be found here.. The new book available from our sister church in N. Ireland and from PRC Evangelism Committees. Contact yours to obtain your copy. Here's the description: "This superb new book sets forth the Reformed and biblical truth of the end in ten relatively short chapters!" If you aor a friend are interested in spiritually edifying music as well as in Bibles and other Reformed literature, visit the Reformed Book Outlet in downtown Hudsonville, MI or visit their website. Don't forget to listen to the Reformed Witness Hour each Sunday! Today Rev. C. Haak (Georgetown PRC, Hudsonville, MI) brings part 3 a series on the OT prophecy of Jonah. The title of today's message is "God's Mercy with Repentant Sinners", Jonah 3:10. Remember in prayer our home missionary, Rev. A. Spriensma, who continues to labor in the West Michigan area and beyond. Today, he is preaching in Georgetown PRC. Over the next three weeks he and his wife will be traveling to Singapore to serve our sister church, Covenant ERC. After the first service today, Rev. Holstege will begin teaching Essentials of Reformed Doctrine. Today we will consider Lesson 1: The Knowledge of God. We will have a short merienda after class. This Wednesday at 7:30, Lord willing, Rev. Holstege will continue to teach Hermeneutics (Rules of Bible Interpretation). All are welcome to join. Rev. and Sharon Kleyn are still in Singapore today. They plan to return to the Philippines this week, DV. We pray that the Lord will watch over them in their travels. Our Missionary, Rev. R. Smit will lead us in both services. 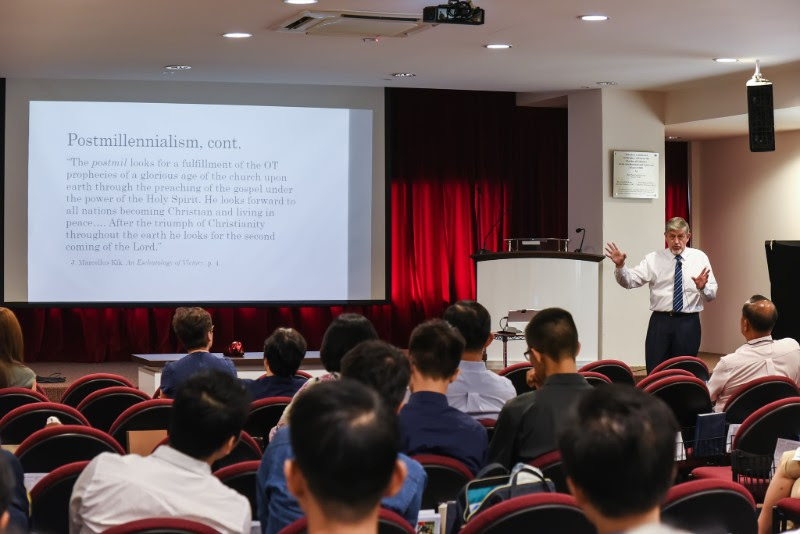 The PRC Seminary held its annual Convocation on Wednesday, September 5, as faculty and students marked the beginning of a new season of instruction. the function prescribed to him by God. During the program special music was provided by Crista Phelps (piano) along with Sam Bergman and Conner and Erin Courtney (violin). See the video attached here to listen to one of their beautiful Psalter number arrangements (bottom of post, under "Media"). After the convocation address the present student body was introduced. *NOTE: Due to connection issues, the live-stream on the Seminary's YouTube channel did not work. Our apologies! But Nick Kleyn recorded most of it and posted it on his Facebook page. 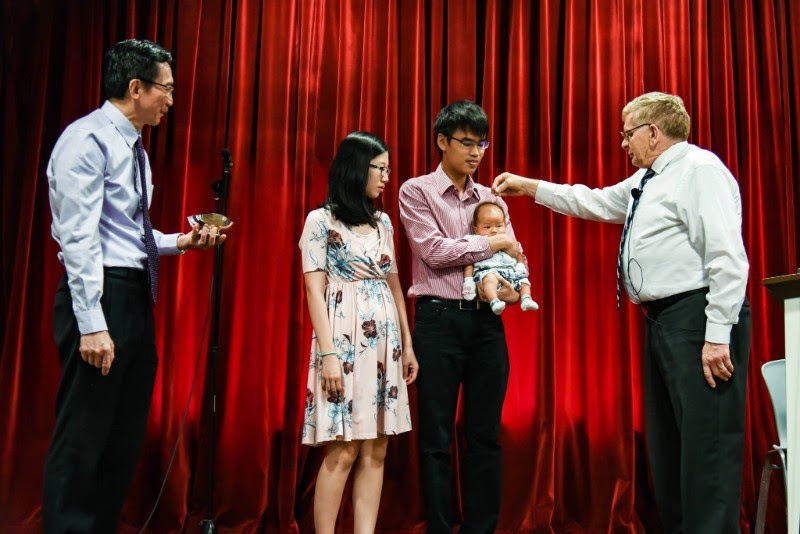 In July, we were again blessed to witness the Infant Baptism of Sonya, daughter of Ivan Chew and Elisa; and Asaph, son of Marcus Wee and Tze Yan! We rejoice with their parents, thanking God and praying for God's blessings upon them as they bring up their covenant child in the fear of the Lord. A number of farewell meals were planned for Pastor & Sherry Den Hartog who had been in our midst for 25 Sundays since January 2018. We bid farewell to them on 16 July. We thank God for them for their dedicated labours in our congregation for the past months, through the preaching and the counsels. We praise God for His goodness and love for CERC. We were glad to receive Prof & Carol Dykstra into our midst for 5 Sundays. We are very grateful to God for providing for our needs and for the supply of pulpit till the end of this year. May we trust and be thankful to God in all matters. On 22nd July, we witnessed the installation of Elder elect Wee Gim Theng and Elder Leong Fai Chong to the office of Elder as well as Deacon elect Paul Liu to the ofiice of Deacon. We thank God for His care and faithfulness for His church and we pray for the Lord's blessings upon them as they diligently undertake their respective callings. This year's national day on 9 August, we were privileged to have a speech by Prof Dykstra under the theme: Dealing With Technology - Seeking Wisely To Live Wisely With Screen. The speech can be found here. Let us consider the usage of technology in our lives and in our homes. On 22 September, we had another fellowship outing under the theme: Dwelling Together in Unity. The outing started of with devotions by Paul Liu followed by an activity of arts and crafts. 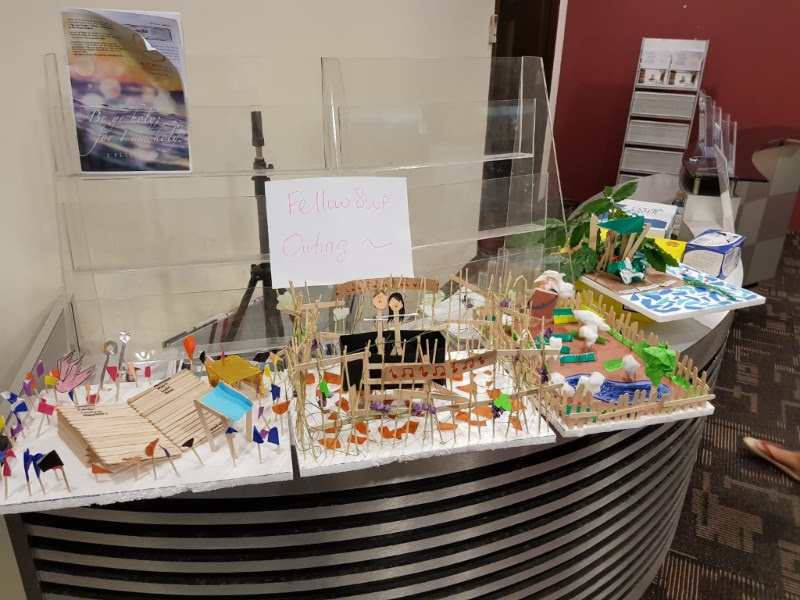 3D structures based on verses. Can you guess the verse? On this thirty-fifth Lord's Day of 2018, September 2, we provide the following news and information concerning PRC congregations, the Seminary, mission fields, and sister churches. Pastor-elect Jonathan Langerak successfully sustained his classical examination this past Wednesday, August 29). Friday evening, Aug.31, he was ordained and installed in Heritage PRC (Sioux Falls, SD) as her second pastor. This morning he will preach his inaugural sermon. May God bless him with many years of a faithful ministry. For more on this joyful event, along with pictures, visit this webpage. On August 26 the congregation of Grandville PRC voted to extend a call to Rev. N. Decker (pastor of Trinity PRC). The congregation of Grandville PRC voted Sunday August 5 to call Rev. R. Kleyn (Covenant of Grace PRC, Spokane, WA) from the Council's trio for calling a minister on loan to serve in our sister church in Singapore. He plans to answer by Sept.9. We pray for the good guidance of the Holy Spirit as he considers this special call. SE PRC (Grand Rapids, MI) informs her congregation and the PRC of this important news in her recent bulletin: "Southeast PRC has recently sold their church facility and anticipates worshiping at Adams School beginning Sunday, September 9. A luncheon and short program will be held Sunday, September 2 following the final worship service at the church at 5pm. We welcome all those interested in attending!” And from her Aug.26 bulletin we learn this: "The new owners, Redemption Church, will take possession of the property on Sept. 15." Synod 2018: The PRC Synod reconvened this past Tuesday, August 28, at Byron Center PRC. Below is the report of this final session. Summary reports on the other work and decisions of synod may be found under the News section of the PRC website. Recommendation: That synod approve the formula of subscription exam of Rev. D. Overway. Ground: Rev. Overway demonstrated that his convictions are in harmony with the Reformed Confessions regarding the the doctrines about which there were suspicions. May God use the decision for the welfare of Rev. Overway, Hope PRC (Walker), and our denomination. Pastor-elect Jonathan Langerak successfully sustained his classical examination this past Wednesday. Friday evening he was ordained and installed in Heritage PRC, Sioux Falls, as their pastor. May God bless him with many years of a faithful ministry. Besides approving the classical examination of the now Rev. Jonathan Langerak, Classis West concurred with consistory decisions in two sobering discipline cases, considered an overture from Hull’s consistory and decided to forward it to Synod 2019 with approval of Classis West, faced an appeal with 3 parts, declaring 2 parts not legally finished at the consistory level, and giving careful instruction to both the appellant and consistory concerning the procedural issues which were the other part of the appeal. Classical appointments were granted the Lacombe congregation. Classis East will meet in regular session on September 12th in Grace Protestant Reformed Church. Seminary Convocation will be held Wednesday, September 5, at Providence PRC, beginning at 7:00 p.m. Prof. B. Gritters will be speaking on Acts 20:24 "None of these things move me..." After the convocation address the student body will be introduced. All are invited to attend. The program will also be live-streamed through the seminary's YouTube channel. In that connection note this for PRC members and friends: "Seminary classes begin for the first semester on Wednesday, August 29. If anyone would like to audit classes, the following classes are offered to auditors: Ancient Church History by Prof. Dykstra, and Dogmatics (Christology) and Intro to Dogmatics by Prof. Cammenga. If you are interested in attending, please call the seminary (531-1490) tomorrow to find out the day and time the class you are interested in will meet." The Spring 2018 issue of the PRT Journal is still available and may be picked up at the seminary. If you would like to receive a print copy and are not on our mailing list, contact the seminary (616-531-1490). The pdf version is also still available for free download. Visit this page to find out the contents and begin reading. Rev. D. Kleyn and his wife are in the CERC for the next two weeks, as our missionary to the Philippines assists in preaching and teaching. This is the note in her bulletin today: "This Lord’s Day we welcome Rev Daniel Kleyn and Sharon into our midst. They will be here for two Lord’s Day assisting us with pulpit supplies. The Session has also requested Rev Kleyn to administer the Lord Supper in the morning service. Let us come together to partake of the Lord Supper and to remember the work of our Lord Jesus on Calvary’s cross. Next Lord’s day after the morning service, Rev Kleyn will be giving a presentation of the Protestant Reformed Churches in the Philippines (PRCP). This is in line in our working with the Contact Committee of PRCP towards the establishing of sister church relationship between PRCP and CERC. We encourage all members to come for the presentation." *Also, from her bulletin today we learn of this significant mission item: "This Lord’s day, Elder Wee and Elder Leong are in Kolkata to supervise the administration of Baptism and Confession of Faith of some the saints in the mission fellowship in Kolkata under the labour of our missionary pastor Rev Emmanuel Singh. This significant event reminds us of the work of our Lord Jesus in gathering His sheep from all tongues and nations. May the Lord use this occasion to remind us to be faithful in our calling to preach the Gospel." Synod 2018 gave approval to the request of Covenant ERC in Singapore that a minister-on-loan be called to labor in their midst during their present vacancy, and appointed Grandville PRC the calling church. On August 5 the congregation voted to call Rev. R. Kleyn from a trio that also included Rev. G. Eriks and Rev. S. Key. He plans to answer this call by Sept.9. Covenant PRC's latest newsletter was received and posted recently (August 2018). And don't forget her other publication - Covenant Reformed News! That latest issue received last week (JULY 2018) may be found here. The 2018 British Reformed Fellowship family conference at Hebron Hall in South Wales took place the week of July 21-July 28. Look for the sermons and speeches of the conference on Covenant PRC's YouTube channel soon! If you are in need of spiritually edifying music as well as of Bibles and other Reformed literature, visit the Reformed Book Outlet in downtown Hudsonville, MI or visit their website. Don't forget to listen to the Reformed Witness Hour each Sunday! Today Rev. C. Haak (Georgetown PRC, Hudsonville, MI) brings part 3 a series on the OT prophecy of Jonah. The title of today's message is "Conviction for Christian Education," based on Eph.6:4. Pictures from the last visit of the Kleyns to the PR Fellowship in Albuera, southern Leyte. Top: Sign advertising the services; bottom: singing from the Psalter in Tagalog. Remember in prayer our home missionary, Rev. A. Spriensma, who continues to labor in the West Michigan area and beyond. Today, he is preaching at Kalamazoo PRC. This Thursday he will lead the Bible study in Dorr, MI once again: "The Dorr Bible study is to meet at the public library this Thursday, September 6, at 7:30 PM. We look next at Jesus attending the wedding at Cana in Galilee (John 2)." The August 2018 newsletter of the Limerick Reformed Fellowship mission station is now posted on this page. We rejoice in this wonderful news from the Limerick bulletin: "For a number of years, beginning in 2011, Chester and Dale Mansona have been receiving catechetical instruction—Old and New Testament Bible History, Heidelberg Catechism, Essentials of Reformed Doctrine, etc.—with Pastor McGeown. Recently, they met with a delegation of the CPRC Consistory to request baptism and membership in the Limerick Reformed Fellowship, in which interview they expressed their trust in Jesus Christ, their agreement with and love for the truth as it is taught here, as well as their determination to live in godliness. With joy we announce that the CPRC Council approved this request. Therefore, their baptism and public confession of faith will take place, barring any lawful objections, on 2 September." Rev. Smit will preach both times today. Rev. Holstege will preach once in Maranatha PRC today. Next week, Lord willing, Rev. Holstege will preach for PCC. Lord willing, this Wednesday, Sept. 5, the midweek Bible study will begin again at 7:30 pm. For several weeks, Rev. Holstege will teach the rules of Bible Interpretation (Hermeneutics). Rev. and Sharon Kleyn arrived safely in Singapore last Friday. 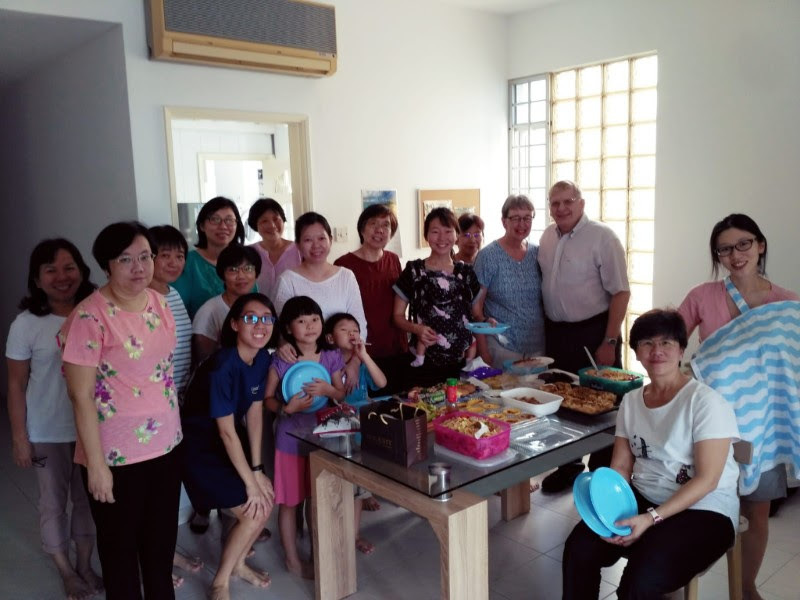 They will be there for the next two Sundays to preach for the Covenant Evangelical Reformed Church in Singapore (CERCS), a sister church of the PRCA which is currently vacant. We are thankful to the Lord for their safe arrival. Our Missionary, Rev. D. Holstege will lead the First Service and our Pastor, Rev. L. Trinidad will lead the Second Service. Next week Rev. R. Smit will lead us in both in Services.